You might be familiar with a toaster and its uses, so, let us not discuss it. I decided to purchase the first toaster a few years back. 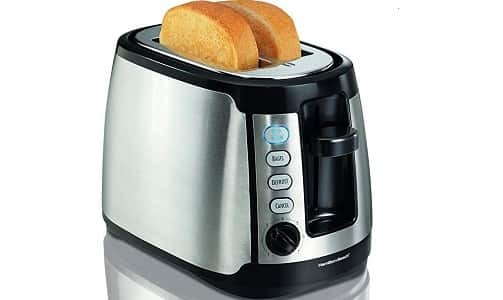 However, if you are planning to purchase a toaster, then, it is very important that you remember that fact that unlike 20-years back, the number of products from which you should select the 2-slice toaster is huge. More than a dozen top international brands market this product at comparatively better quality and reasonable price. To be frank, I was not able to pick up my first 2-slice toaster 5-years back. Yes, purchasing my first toaster was really a challenging task as the number of products on the market really confused me. It was not actually the number of product that confused me; it was on how to select the best suitable product? It took me almost more than 2-days to get a clear idea on how to select the best product. 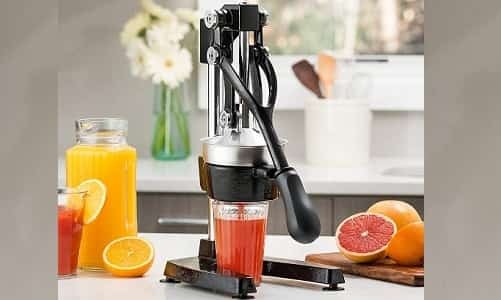 Even, if you manage to gain some info on how to purchase the best 2-slice toaster, it will not be that easy because not all the products come with the combination of features that you require. The first heartbreak my first toaster gave me was that it could not toast the bread, as I wanted. I preferred to have my bread toast crispy and brown in color, which my toaster could not do. This is when I decided to get a new toaster with variable toasting feature, yes, a toaster with a feature to set the temperature/shade. If prefer getting yourselves the best 2-slice toaster, then check if the product you purchase has variable temperature feature, high lift control, auto shut off, frozen toast, reheat, indicator lights, timer, bagel, and minimum power consumption. 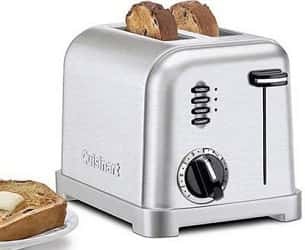 Yes, it is very important that you purchase a product with a timer, as you will not appreciate owning a toaster that over-toasts your bread. It is very important, that you read the product specification carefully and then purchase the product. 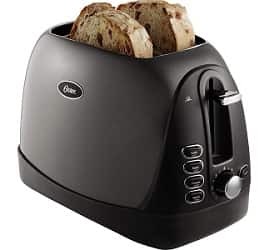 Also see my list for the best 4 slice toaster in 2019. Here is a list of best products on the market right now. 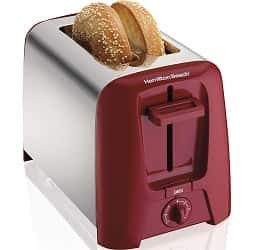 Hamilton Beach as you knows is a leading brand that markets top quality slice toaster. 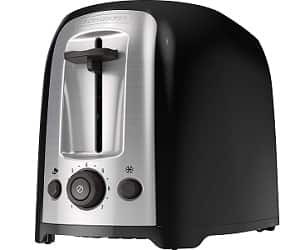 The Hamilton Beach 22811 slice toaster comes with cool walls and stainless steel made sides. 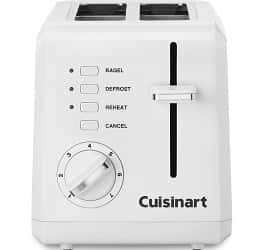 The Cuisinart CPT-122 slice toaster is one of the most attractive 2-slice toasters available on the market today. This product comes with a 3-year warranty and is end-user preferred. The product comes with extra wide slots that enable easy removal of toasted bread. Unlike the Hamilton 2 slice toaster, this product comes with more attractive buttons and functions. This product comes with multi toasting functions that could serve the users purpose well. The product comes with big buttons assigned for bagels, frozen bagel, frozen toast, and cancel. This 2-slice toaster also comes with timer functions and shade selection feature. 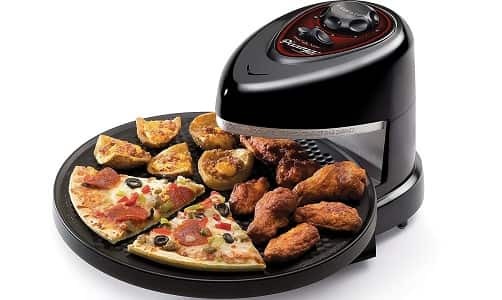 One of the notable things about this product is that it is easy to clean as it comes with drop-down crumb tray to collect all the crumbs that fall off while toasting. This product from the brand Krups is made of chrome stainless steel and is 100% guaranteed to be safe from corrosion and to prevent any burns. This product comes with 6 different browning settings that could help you brown your bread toast as you need it. This slice toaster comes with LED indicators that serve its purpose well. This Cuisinart CPT-415 is one of the basic 2-slice toasters that comes with an LCD display that has blue backlit for clear visibility any time. This 2-slice toaster is easy to use and comes with basic keys. This 2-slice toaster comes with 7 different shade settings and other features like a bagel, reheat, and defrost. Performance, versatility, and durability are what Oster brand offers and this 2-slice toaster is not different. The TSSTTRJBG1-NP comes with extra wide slots that could accommodate any size bread. One of the notable things about this product is that it comes with an auto-adjusting feature to guide bread without crushing it. The TR1410BD 2-slice toaster, unlike other toasters, comes with built-in cord storage feature and easy to use lift function. The pull out tray incorporated into this device could keep the counter always clean by allowing you to clean the device every now and then with ease. 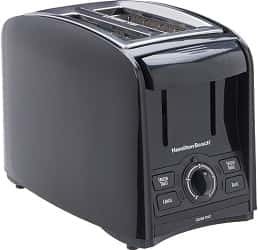 The Hamilton Beach Cool Wall 22623 is one of the most elegant looking 2-slice toasters that you could find on the market right now. 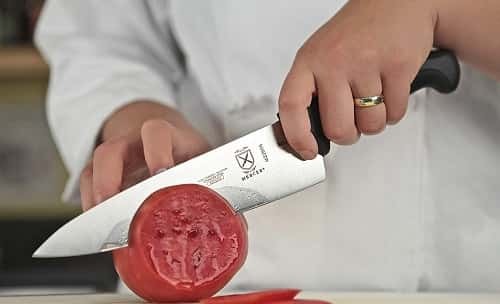 Yes, the looks might not matter to most of you, but if you are bothered about the kitchen setting and the style, this product is best recommended for you. The product comes with cool walls to ensure that the product does not burn your hands. 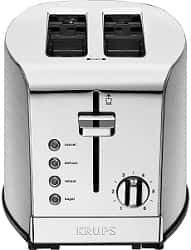 The 22623 Hamilton Beach cool wall 2-slice toaster comes with auto shutoff features and drop-down crumb tray that could enable easy cleaning. The Cuisinart CPT-160 is a 2-slice toaster that boasts classic beauty. 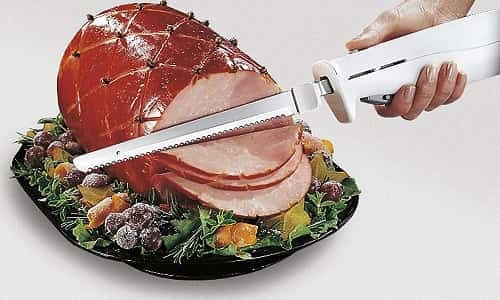 The whole product is made of steel and it looks attractive. 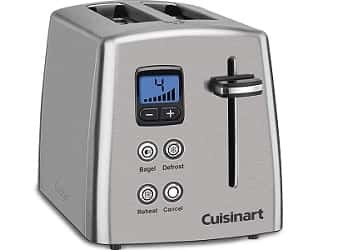 The defrost feature incorporated in this 2-slice toaster is best efficient in extending the toasting cycle slightly without actually over-toasting the food. I think you should must read this buying guide before planning to buy a Two slice toaster. Power supply cord storage – One of the most common issues the old bread toaster used to have was that they came with long power supply cords, but with no option to store the cord. It would be annoying to see the power cord lying around right. This is why; there are products that come with an inbuilt cord storage option, which would allow the user, tuck in the cord into the device itself making it easy for storage and transport. Toasters are not a shockproof or waterproof device; it is not designed for any harsh conditions. However, there are devices specially designed for such conditions, but the majority of the product is not. 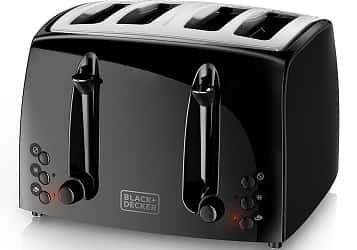 Purchasing a 2-slice toaster could be a difficult task, however, check out the products listed above and you could get yourselves the best 2-slice toasters on the market today.